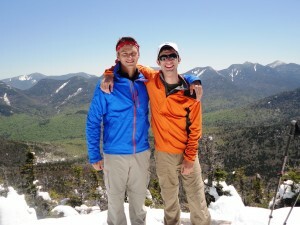 Ryan Wichelns and Gabe Messercola have spent the last half-decade in the Adirondacks. They have been fortunate to have this park in their backyard and have gained an appreciation for the wilderness through backpacking and climbing. To raise awareness and support for Big City Mountaineers, an urban youth outdoor mentoring organization, Ryan and Gabe spent 20 days this summer traversing the Adirondack Park from South to North, blue line to blue line, a 205-mile adventure of cycling, canoeing, and hiking. You can check out their adventure at adirondacktraverse.org. Ryan Wichelns and Gabe Messercola welcome to The Pursuit Zone.